It was this time last year that I made the decision to deepen my practice as a Yoga teacher. It was a long time coming–I heeded the calling of my heart to study directly under my beloved masters of Kundalini Yoga at Yogi Bhajan’s first and only studio, Yoga West. It had taken six years, and at least two weeks of waffling, to finally commit. I remember the night I called to say Yes; I took my walk as usual, only the pink-stained evening sky was pinker than usual, the drooping golden sun was twice as gold as usual, and the crisp autumn breeze that chilled my just-washed face was the most delightful breeze there ever was. I knew I would want to chronicle this life-changing journey, and I did. Here is the first of several teacher-training diaries I wrote, that were originally published on Spirit Voyage. I walked briskly down the street in the rain, carrying an open plate of assorted curries and rice. Zigzagging around two Jewish families, out for Saturday services, I sought a moment of refuge in my car, to absorb the somewhat magical events that had transpired that day. Still flush from the long group chant, I watched as the raindrops coalesced on my windshield. My voice had melted away into the warm sea of long “Ek Ong Kars.” I had lost the sense of where my own voice ended and the others began. The vibrational frequencies of 58 voices fused into a lush whole and time itself evaporated like dew. It was as if we all dissolved into some invisible swell that had gently washed over us. I took a bite of the creamy raita on the side of my plate and watched one single raindrop trickle down the window, leaving behind a long, clear squiggle for peeking through to the glassy, rain soaked street. As all the genuine spiritual traditions remind us, it is through the dignity of letting go that wisdom is attained. In subtle paradox, it is by losing that we gain. In chanting, it was not merely our voices that we offered up to the infinite, but our very sense of self. In exalting the sacred mantra through chant, the tangible and the intangible disappeared into unison. At another moment, a white head wrap and an outstretched leg extended in front of my own, while mine lay, in turn, behind another. Together, we all carried on, and for the duration of the kriya, our bellies pumped air as one rhythmic body, like some multifaceted breathing apparatus. We were a woven cloth. For a time, personal space melted away, along with the intangible sense of separateness that keeps us from our own divinity. In the shadowy world of separateness and duality, bad habits loom. Fear looms. The hum of adversity is often dispatched from the depths of the psyche, still on automatic, like a broken old alarm that sounds for no reason. There was a moment when mine hollered out – victim to the old triggers. But one of the Yogis inspirited my heart and knocked all sense out of me. I thanked him. And with a gentle word he sent me off to sharpen my tools. We are empowering ourselves to glide above those old patterns, to fly, wholly powered by spirit. We have been gifted with invaluable tools of Kundalini Yoga, and we are learning how to use them. Through the timeless wisdom and functionality of these kriyas, we are learning how to scrap the unconscious negative reflexes and oust the heavy blocks that prevent the wholeness of mind and radiance we seek. Yogi Bhajan was forthright about the efficacy of what he called “the Yoga of awareness,” revealing that by practicing its techniques correctly, “we fry this subconscious mind; we make toast out of it and eat it.” Seeing us falter during a particularly intense kriya, Gurudhan reminded us to “become the nervous system.” “Keep going,” the yogi called out, as we disappeared into the kriya, as we became the kriya. We were mastering our energy rather than the other way around. In some ways, this process reminds me a bit like getting thrown into the washing machine and then spat out again. And I’m hopeful it’ll be a cleaner, softer, more appealing me than what originally went in. I knew the intense, nine month period wasn’t an arbitrary figure. It’s as Guru Singh explained that first night: Like a birthing, after nine months, we’ll come out of the birth canal pure and new. “First you’re like eager babes,” he mused, as he surveyed the room full of the novice’s enthusiasm. “Then, as you begin to feel comfortable and more at home, you’ll start to relax and you’ll be draping your bodies all over, like you own the place.” But he continued on, explaining that by the end of the training period, we will have come full circle, only not exactly in the same starting place. When we get ready to emerge, as Aquarian teachers of 2011, we will be like eager young babes again. But in a different way. I still have the teacher training pamphlet from 2005 in my Yoga files. Although it was because of Guru Singh, that I took that flyer five years ago, and because of him, that I finally committed this year, the boon is that through this intense training program, I will also have the benefit of learning from other masters, that I am quickly growing to love. Soon I will look upon them all as my teachers. 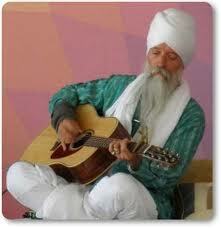 And I will officially count myself among the third-generation disciples of Yogi Bhajan, himself. It is a blessing for which I am eternally grateful, but also a tremendous responsibility, for these timeless teachings will be reflected in my own conduct and in the way I bring them forth to others as a teacher. But, it was a calling of the heart. And this is a brave heart that can only become more brave through practice. This entry was posted in Uncategorized and tagged Guru Singh, Gurudhan, Kundalini Yoga, spirituality, teaching, Yoga, Yogi Bhajan. Bookmark the permalink. Seen this before (wasn’t it also on Windmill?) 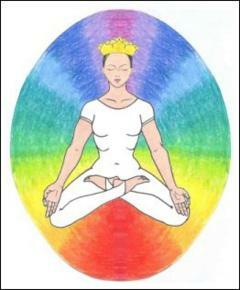 How about a qualified Kundalini teachers diary? There was a nice post about your class the other month but quoted from one of your students rather than from your perspective. Your SMC class experiences have also been posted and then of course the book. Do you do your kundalini class in Presence yoga or do you give two separate variations (hatha and kundalini?). Checked up on Thomas Merton. Sounds a bit like Alan Watts except he stuck to the one belief. Can’t figure out how you can stick to something when the inconsistencies and contradictions pop up after comparing with the rest. Just not capable of believing anything absolutely myself so what drives others is a bit beyond me. I only teach Kundalini Yoga these days (not Hatha). About your inability to believe: Do you believe in E=MC 2? Do you believe that if you educate your kids, they’ll be more successful? Do you believe if you eat your greens, you’ll live longer? Faith certainly serves a purpose. And then we verify as best as we can, through our own experience, direct or indirect. When I drink fresh kale juice instead of eating donuts, I feel more alive, thus, it’s probably a good thing, and I might stave off disease if I continue regularly…The great Yogis that I admire did this technology, called Yoga, in its various forms, so if I do it, too, I might be strong and fearless and capable, like them. Who cares about the contradictions in the fables that exist only on the superficial level of story-telling, when what really matters is practice? My brick laying was a bit sloppy! Should have popped “only relatively” after “absolutely” to have been more clear. I agree that we take many things on faith from indirect sources. These are relative beliefs starting with the most basic of ” I exist”. In terms of religious/atheist beliefs (I’m not in either camp as they tend to be both absolutist) it would be beneficial i feel for those that have them to recognize and openly admit that they too are relative and not absolute. It is when the fables are seen as absolute truths and not seen as fables that things get a bit awkward (on an individual level fairly harmless, but collectively, well you know the score). Practice in order to free onself of attachment to ego for example is understandable, but out of social convention or as an escape from nagging doubt less so in my opinion. I like nagging doubt:). I’m practicing laying better bricks!